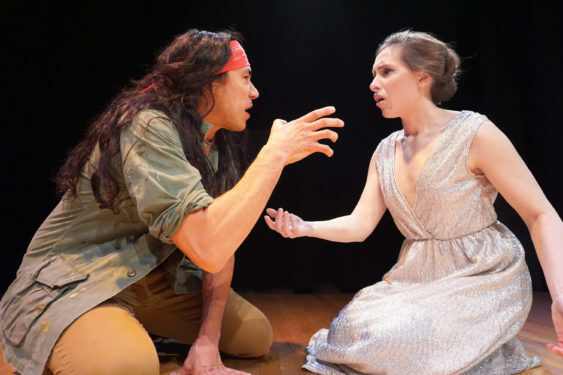 Written by Ellen McLaughlin and directed by Shannon R. Davis, Helen is a modern adaptation of Euripides’ classic, explores beauty, gender, archetypes, societal expectations, and war. The gods have imprisoned the notorious Helen of Troy in an Egyptian hotel room. For 17 years, she awaits her rescue. McLaughlin wrote an unbelievably witty script, giving authorship back to the women historically scorned. The production has gone a step further by making the full team ‘non-traditional’ and has taken our dynamic and diverse lived-experiences into account in conceiving the design and feel of the show. Sorry! The contest for "Helen" A Modern Adaptation | Theatre of Yugen has ended.